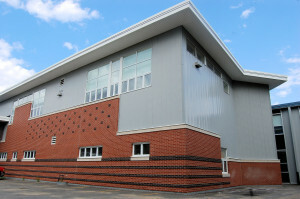 After receiving the necessary funding and permitting, this three-story, 42,000 square foot building project was underway. 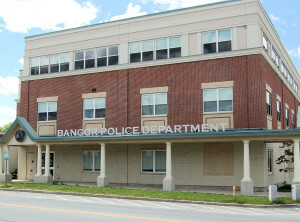 This public safety facility houses office facilities for employees, an evidence lab, records center; fitness center, firearms practice range, emergency operations center, and a 911 call center for the City of Bangor. 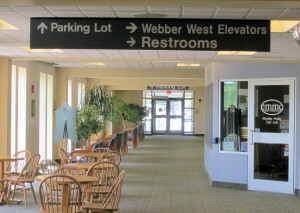 To allow for future expansion, it was designed for the addition of a fourth floor. the indoor air quality was not compromised. While an Associate with another firm, Ronald W. Rideout, PE, led two detailers and one engineer while coordinating with the architectural job captain and mechanical engineer. The project was delivered by the design-bid-build delivery method, and change orders relating to the foundation and shell were kept to a minimum. Please click here for a PDF version of this page. 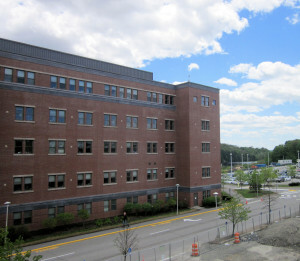 PROJECT DESCRIPTION:This new, seven-story, medical office building was constructed on the main campus of Eastern Maine Medical Center in Bangor. The building was constructed on speculation that several private clients would occupy the building once it was constructed. Prior to construction, Affiliated Laboratories and Dahl/Chase Pathology were the only planned tenants at that time. 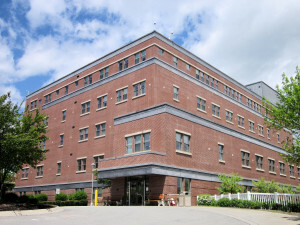 Several years later, the building is now fully utilized with an array of tenants that serve the healthcare needs of Eastern Maine Healthcare. Structural engineer of record responsible for providing spread footing and pile driven foundation design plans and details as well as structural design of steel frame, joists, deck, light gage metal framing and brick veneer and a fire wall. While employed as Firm Associate and Senior Structural Engineer at another firm, this was Ronald W. Rideout’s, PE, first true design-build project. The Principal in charge of the project presented a very conceptual building rendering from which the structural design started. With the basic windows and doors located, means for heating and cooling resolved, along with Life Safety issues addressed, the structural design team took the lead on the project. Foundation/site, steel framing, shell, and then MEP were provided to allow for Sargent Corporation to competitively bid to subcontractors as the project was under construction.